According to Schretter, the volume of products sold, the use of raw materials, the number of employees and the level of investment were all at record levels in 2018. 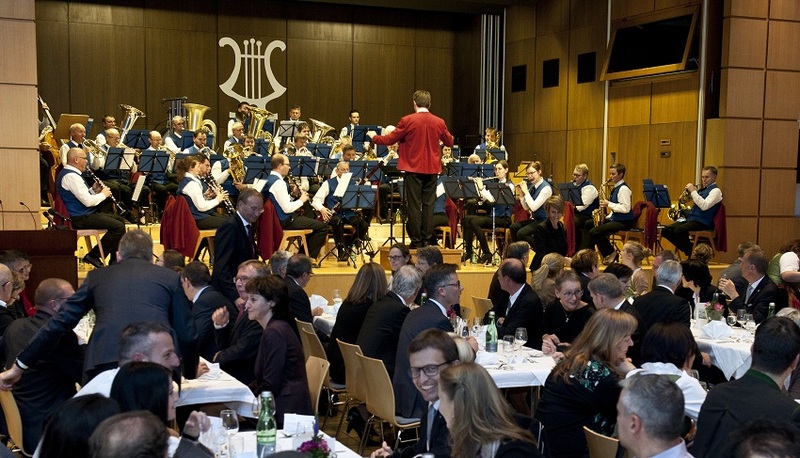 "We are delighted and proud to be able to say that we are currently successfully active around the world," said Schretter in the packed function room of the Plansee Group in Reutte. Almost 100 employees and their partners had accepted the invitation to celebrate their significant long-service anniversaries. And he addressed to those celebrating their anniversaries, saying: "There are many factors responsible for success and records. And key among these is experience. We are counting on you to continue to bring your decades of experience to bear so that success is not taken for granted but is the result of clear focus in our work." Bernhard Schretter listed some of the challenges facing the Plansee Group over the next few years. These included long-term security of supply of tungsten and molybdenum independent of China, a shortage of skilled workers at most of the Group's 50 production sites around the world, and digitalization in sales, production and administration. With one particular employee in mind who started in the Plansee Group IT department 45 years ago by programming sales software on a computer with 8 kilobytes of RAM, Schretter said: "Looking forward, digitalization will also offer the Plansee Group opportunities to better meet the requirements of our customers". Karlheinz Wex, member of the Executive Board of the Plansee Group, then congratulated each of the nearly 100 employees who were celebrating their anniversaries by reading out short poems and other tributes written by their colleagues or managers. Every year, at the Breitenwang/Reutte location, the Plansee Group pays tribute to employees with 25, 30, 35, 40 and 45 years of service.